In our last My Green Montgomery blog installment of Dam Safety back in the spring, we followed the County’s inspection contractor and Department of Environmental Protection (DEP) Senior Engineer Gene Gopenko on a dam safety inspection. Since we are in hurricane season and approaching our severest weather months, we’d like to introduce you to other aspects of the County’s state required Dam Safety Program. Quick Recap: What is a dam? A dam is defined as an obstruction, wall or embankment constructed for the purpose of storing water. In Maryland, dams can provide a range of benefits including water supply, hydropower, flood control, recreation, etc. Maryland Law requires dam owners to operate and maintain dams in a safe manner. To accomplish this, the owner has the responsibility to make periodic inspections and perform routine maintenance and repairs. Frequency of inspections is based on hazard classification. Dams are classified according to potential of loss of life or property damage if they should fail. There are three categories: Low, Significant and High Hazard dams. If not maintained properly, dams can present threats to safety of people and property downstream. All dam owners should perform safety inspections and necessary repairs in advance of heavy storm seasons. 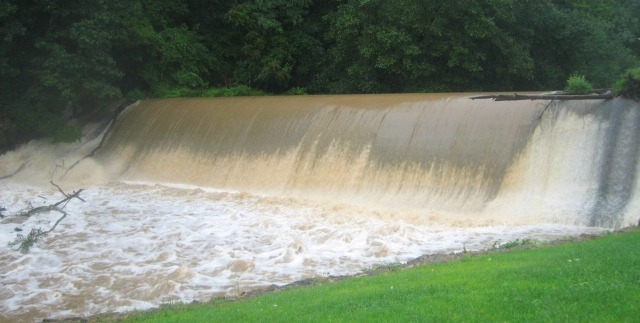 In Montgomery County, most dams are earthen dams built to control stormwater. They are designed to pass stormwater safely around or through the facility. Each High and Significant Hazard dam in the County must have an Emergency Action Plan available and followed in event of dam emergency. An Emergency Action Plan (EAP) is a set of procedures and practices that are put in place in the event of an emergency such as a hurricane or earthquake to reduce the risk of human life loss and injury and minimize property damage during an unusual or emergency event at the dam. It requires coordination of many organizations. 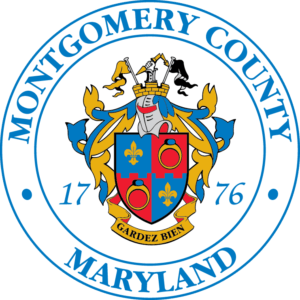 How does the EAP work in Montgomery County? DEP shares the responsibility of implementing the EAP with the County’s Office of Emergency Management and Homeland Security (OEMHS), Montgomery County Police, Fire & Rescue, the Department of Transportation and several other agencies. For example, Health and Human Services coordinates sheltering if residents are evacuated from their homes, the American Red Cross provides food and emergency loans for necessities, and the County’s Animal Services assists in caring for pets when displaced by emergencies. Staff members in DEP and the Department of Permitting Services are trained as dam monitors and are at the ready to act in the event of a weather emergency. Dam monitors are mobilized when rainfall amounts are predicted to be significant or if hurricanes or other large storm events are forecasted. What do dam monitors do? Dam monitors visit their assigned dams and start by checking flood control gauges to see where water levels are. They also check for embankment issues such as seepage, cracking, sink holes, fluctuating water elevations and other indicators. In accordance with protocols of the EAP, dam monitors are in constant contact with OEMHS staff who will coordinate any necessary emergency response in the case the dam’s integrity may cause a risk to life or property. The role of OEMHS will be covered in more depth in a followup blog next week. In addition to visits to dams, several dams are monitored remotely. 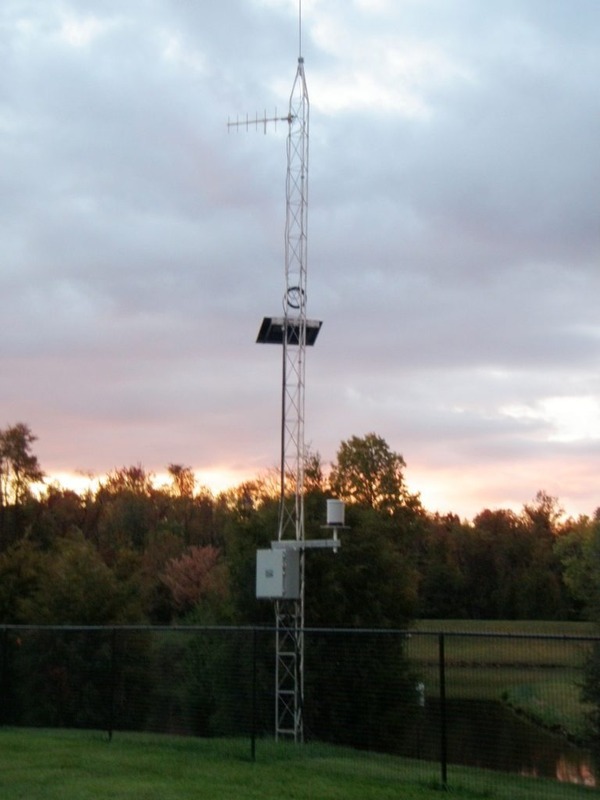 Remote monitoring equipment, such as the tower shown above, constantly monitors pond levels and rainfall. These remote monitoring stations send text messages to dam monitors to alert them of changing conditions at a dam. Staff gauge to measure the depth of water at a dam. Weather Emergencies: What is the difference between a flood watch, warning and advisory? ALERT MONTGOMERY is a means by which you can be kept up-to-date on developing weather issues. Please sign up today if you are not already receiving alerts. A Flash Flood Watch is issued to inform the public, cooperating agencies, and other interests that the current and/or developing weather pattern is such that there is a potential for rapid flooding (also known as flash flooding), more widespread areal flooding, or river flooding. Persons in the watch area are advised to check flood action plans, keep informed, and be ready to take necessary actions if a warning is issued or flooding is observed. A Flash Flood Watch may also be issued for a potential dam break. A Flood or Flash Flood Warning is issued to inform the public that flooding is imminent or in progress. It focuses on specific counties, communities, streams, or areas. Flash Flood Warnings are issued for flooding usually occurring within 6 hours of heavy rain. A Flood Advisory is issued when flooding that is not considered a significant threat to life or property is expected or occurring. This usually deals with nuisance flooding problems, such as flooding in low-lying areas and areas of poor drainage, as well as minor flooding of streets and roadways. This type of flooding causes some inconvenience, but is not generally considered a significant threat to life or property. For more in-depth information about weather warnings, see this informative webpage from NOAA. County staff are at work 24/7 when the EAP is in effect. So when late summer storms arrive, don’t worry. We’re watching and we’re out and about! If you see a problem with any dam or any other stormwater management facility, please contact 311.